An adhesive with a wide range of applications. Distinguished by its excellent adherence to popular construction materials like: concrete, hollow ceramic bricks, plasters, brick, wood, metal and XPS. Cured by the humidity in the air and of the substrate to which it has been applied. 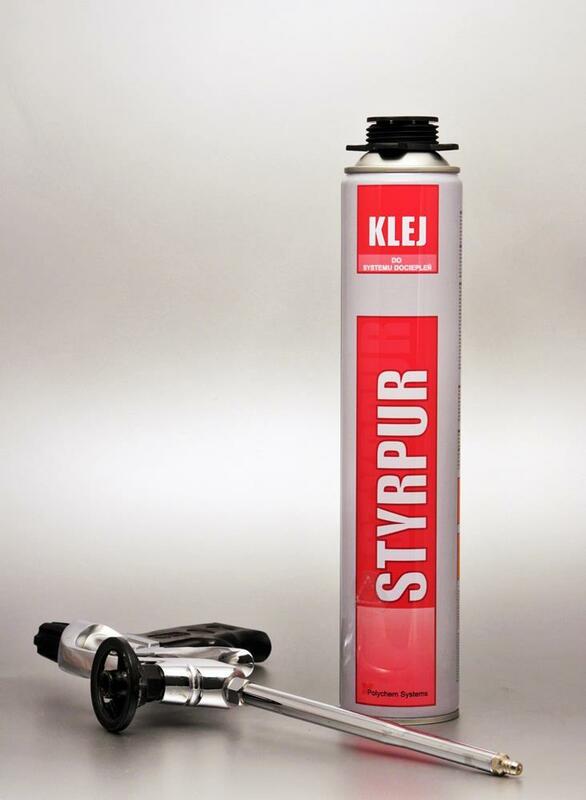 Styrpur is characterised by its short drying time and quick processing of the cured adhesive. Available either in gun spray or hose spray versions. mounting of window sills and filling gaps in thermal insulation.